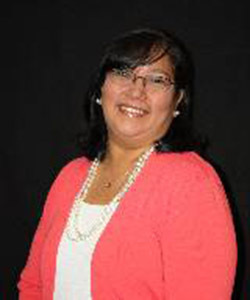 Margaret Garcia serves the University of the Incarnate Word as Director of Communications and Brand Marketing. She has extensive experience in the communications industry including work with a local advertising and public relations agency, the Edwards Aquifer Authority, FOX TV Houston and KMOL (now WOAI TV) in San Antonio. Margaret's responsibilities include media relations for UIW, St. Anthony Catholic High School and Incarnate Word High School. She holds a Bachelor of Journalism from The University of Texas at Austin. 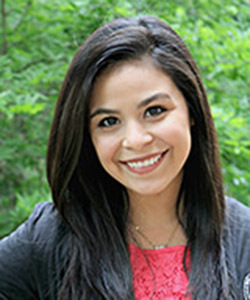 Marissa Rodriguez serves the University as the Publications Coordinator. Her responsibilities include managing "The Word Magazine" and coordinating the style guide and the media resource guide. She also assists various departments with their communications needs. Marissa has worked in the magazine industry for more than 17 years as an editor, writer and content development professional. Most recently, she was the editorial director of “Vista Magazine,” which reached 3.3 million readers across the country. She was formerly an editor of “Hispanic Magazine,” interim editor of “Qué Rica Vida” and worked on “PODER Magazine,” “Hispanic Enterprise Magazine,” and others. She has also written for “USA Today” special publications, “San Antonio Magazine,” TodoBebe.com and many other publications and websites. Marissa is a blogger and social media content creator. She holds a bachelor's degree in communications from Trinity University and a master's degree from the Missouri School of Journalism. Ashley Davis serves as the Special Events Coordinator for the University of the Incarnate Word. Her responsibilities include planning and overseeing the annual Light the Way celebration, as well as other major UIW events. She is also the liaison between the University and its two Brainpower Connection high schools, Incarnate Word High School (IWHS) and St. Anthony Catholic High School (SACHS). Ashley is a two-time UIW alumna with a bachelor's degree in Art and a master's degree in Administration and Communications. She previously worked for UIW as the Events Coordinator for the Office of Admissions and has since worked in marketing and business development at Perrin-410 Animal Hospital, Phyllis Browning Company, and as a freelance consultant for other local companies. 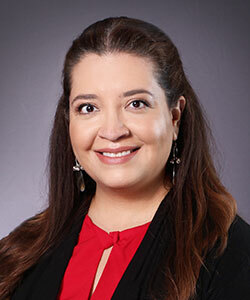 Victoria Reyna serves as the University's Social Media/Communications Specialist. Her duties at UIW include planning and implementing comprehensive social media strategies to maintain the University's brand. She also manages the daily employee newsletter and various communication tools utilized by the department. 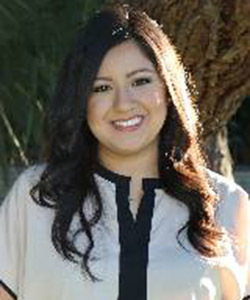 She most recently served as an account manager for public relations agency, Sammis and Ochoa. Victoria is a graduate of the University of Texas at San Antonio where she holds a Bachelor of Arts in Communications. 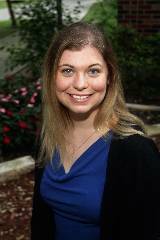 Amanda Bennett serves as the Secretary to UIW's Office of Communications and Brand Marketing. She handles the daily operations of the office and manages the work study program. She has extensive experience in staffing and recruiting and has managed busy offices having previously served as executive administrative assistant to the Office of the Provost at Yale University. Amanda is a graduate of UIW's Theatre Arts Program where she earned a Bachelor of Arts degree.